These muffins look like they'd be really easy to make, which would be perfect for early breakfasts. Nice recipe! Thank you they are healthy and guilt free too. Sounds great for breakfast or snack. 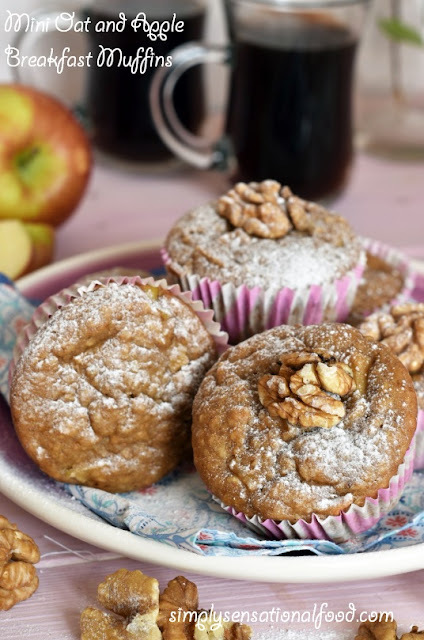 I love apple muffins! Yes the apple gives them a tangy sweetness. Ooh these look so good! I love that they have the oats in, that's a really great way of getting in added fibre too! Yes they are a good way to add oats to your diet and healthy too. I am honestly sitting here just drooling. My fingers can't pin this fast enough. I will absolutely be trying these with my kids. Thank you for sharing! Unlike the conventional muffin wIth eggs and butter these are a little dense but they still taste delicious and are guilt free. Those are some fine looking muffins you got there. Would not mind having one. These look amazing! I have been trying to find yummy and healthy breakfast ideas so I'll have to give this a shot. tHese muffins look absolutley delicious! I will have to look more into this and give it a shot! I hope you enjoy making and eating them do let me know how you get on. This looks so delicious. i would eat this for breakfast tomorrow if it was presented to me! Yes they are a nice alternative to pancakes. 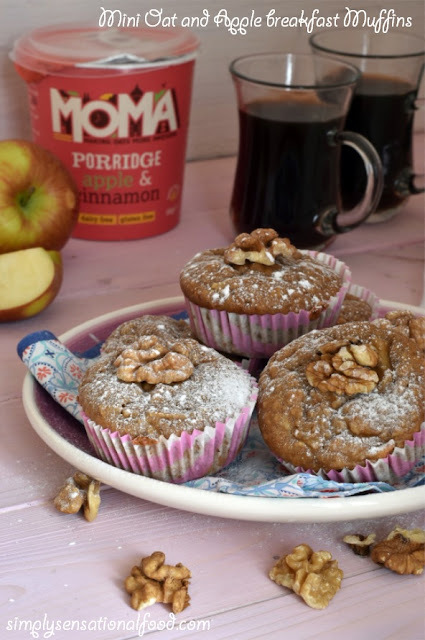 I love the sound of these oaty muffins! Oats are so good for us, no wonder they're eternally popular. I really like Moma's handy pots too. The flavoured pots are really great for on the go breakfast. I hope you make them and enjoy them. 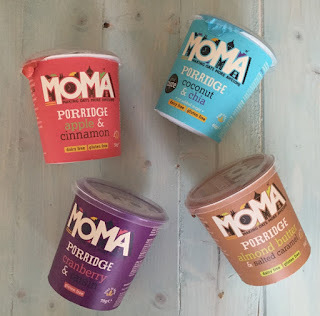 Do try them and if you cant get the flavoured oats use plain and add an extra pinch of cinnamon. I love oats as I usually have muesli for breakfast. This sounds like a great way to use them up. 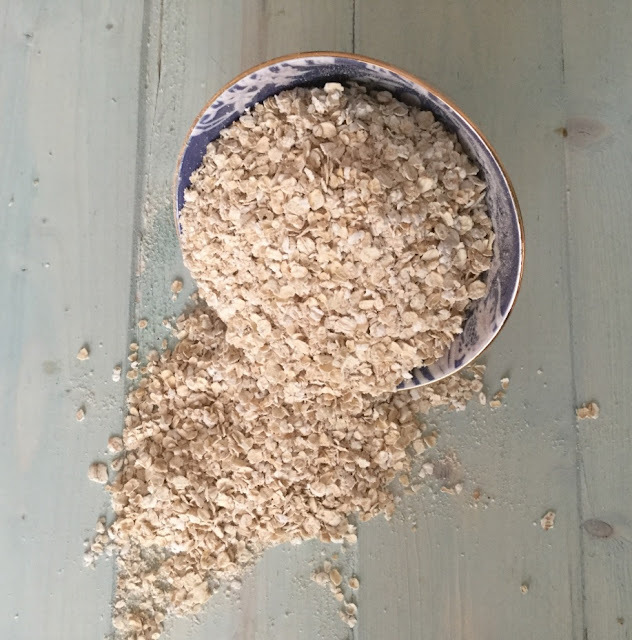 Oats are so healthy this is another way to add them to your diet. I love the products from MOMA but never thought about using them that way, great tips! They are great for using them in pancakes and crumble toppings too. These look and sound delicious! I love apples and oats together! I like the combo of oats and apple too with cinnamon. These sound so yummy and look very simple to make! I'll have to save your link to try! Do let me know how you get on with them and if you enjoy them. They are healthy and guilt free so its ok to eat them for breakfast. They travel well also for mid morning snack. 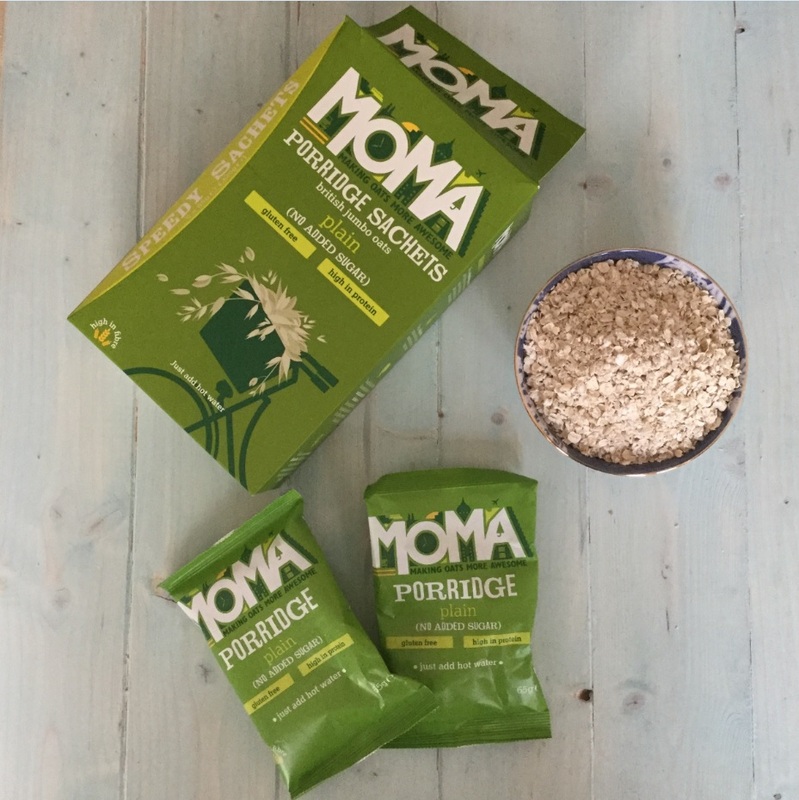 Love oats for breakfast, so when you put them in muffin form, then consider me a happy camper! Lovely recipe! These are a nice change from eating porridge or pancakes. Outre my favorite breakfast. I like them in recipes too though and muffins sound delicious. As a vegan I so appreciate seeing more vegan recipe posts! These muffins look delicious! It is hard to find recipes that do not contain eggs. These muffins look delicious and perfect for breakfast! I love apple and oats. 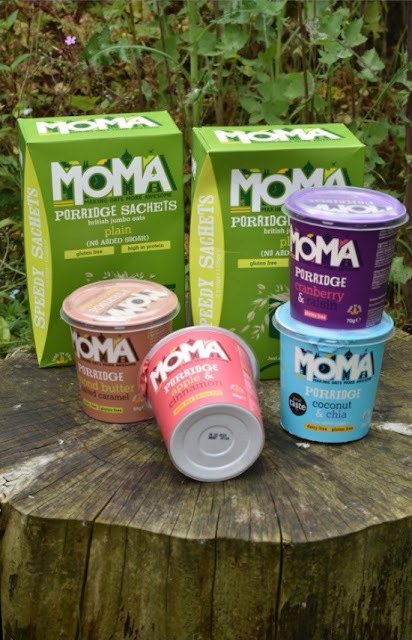 Will have to try these as always looking for healthy breakfast options. Oats can definitely be amazing. I think I love them for breakfast or any number of things really. This looks like a delicious recipe to try out. What a brilliant idea to make them in to muffins and I love the fact they're vegan. Yummy! As soon as I see vegan I am interested lol! These flavours sound delicious. I also love the idea of making it into muffins - yummy! That's a great tip to use oats in muffins and switch up the daily cereal. i love the flavors in Moma. These muffins look like they are absolutely delicious! I am going to have to make some of these for my family asap. Oh wow. This looks so good! I tried oats in cookies but not yet in muffin. I will sure try this recipe! Yum! This is a good recipe. I like anything with oats. I feel good after eating them. hehe I know it's psychological, but I know that it also helps to think that way. But later, it will be oatmeal cookies for me.